Looking for an updated bar table? 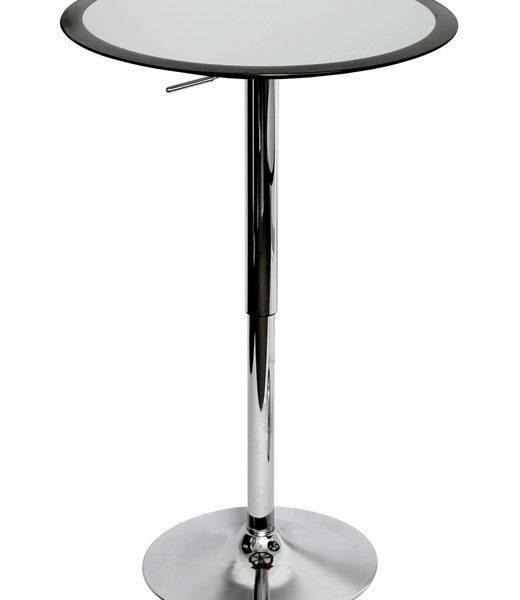 The Ribbon Bar Table features a silver ABS table with a fancy black rim accent. 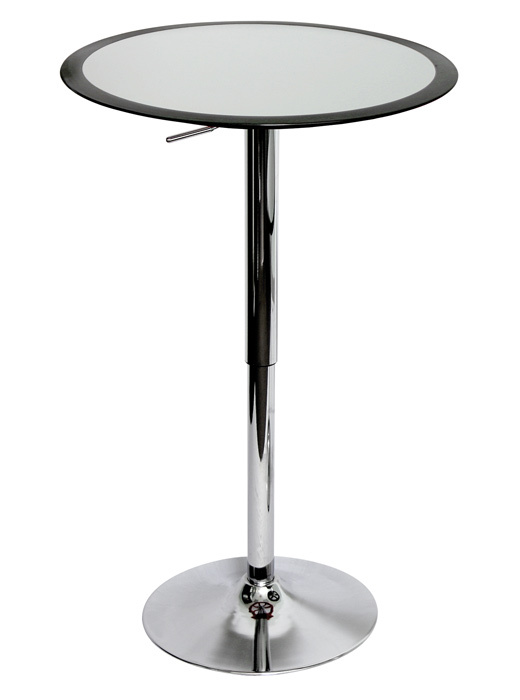 Hydraulic lever adjusts the table from 26″ to 41″ inches in height. A polished chrome base and pole.